My new-to-me 335i xDrive is a stick shift. It’s been almost 3 years since I had a stick shift car. Back then, I was kinda tired of driving stick and leased a 135is with the dual-clutch automatic. But I’ve been driving stick for a again for a week now, and I’m really enjoying it. The reason I got a 135is DCT is because it replaced this car: my old MazdaSpeed 6 that I had grown extremely frustrated with thanks to horrible rust-proofing and a magical ability to produce new and different interior rattles just when I thought there couldn’t possibly be any other part of the interior that could make more noise. It looks good in this picture but I bet it’s a pile of brown dust now! I also felt tired of shifting all the time. Because I was only willing to accept the quickest-shifting of automatics, and ended up with this 135is DCT. I thought I’d drive the 135is as my only car, but then I saw some post on Oppo about a winter beater SUV and bought an old Jeep Grand Cherokee instead of snow tires. I replaced that Jeep with a less-old Jeep, got sick of juggling 2 cars, and resolved to sell the Jeep and get one fun awd car to drive year round. 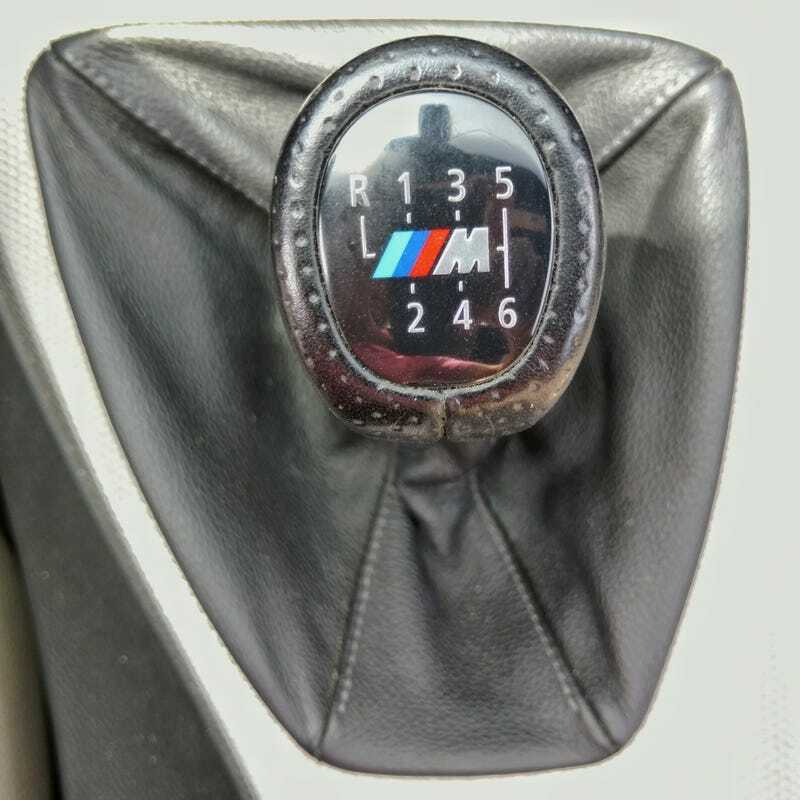 I wasn’t completely hung up on a manual, but once I decided on an E92 335xi, I knew it had to be a stick, because the old BMW 6-speed automatic that comes in the automatic version is not a transmission I’d be willing to have. So here I am, back in a stick shift car, and I’m liking it. In spite of not having a stick shift car for 3 years, I hopped right in and drove it fine. I do my silly heel-toeing and rev matching that I always used to do just because I can and it makes driving around town much smoother. I even still manage to eat my usual banana and protein bar on the way to the gym. That’s what stop lights are for! Maybe I’ll get tired of it at some point, but for now at least, I’m really happy to be more involved in the driving process again. Welcome back into my life, Manuél!